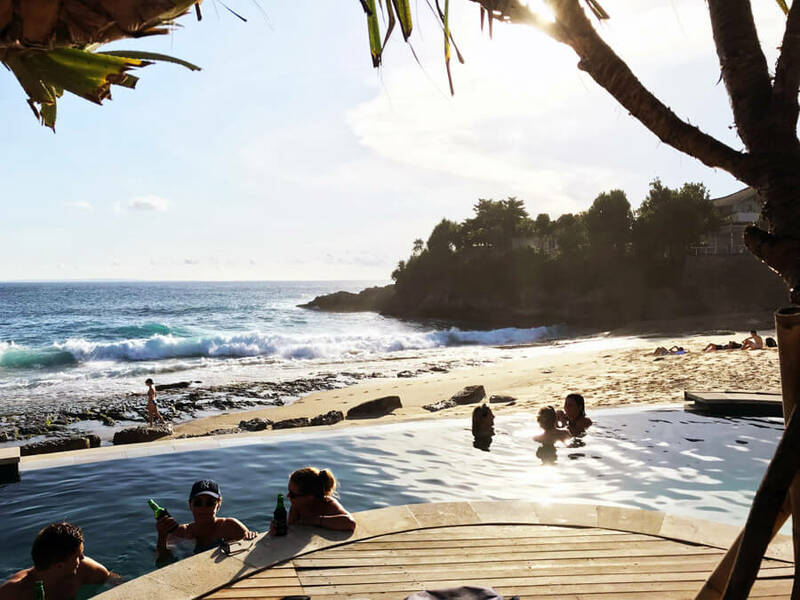 Nusa Lembongan is apart of the trio of islands that sit just off of the southeast coast of Bali. 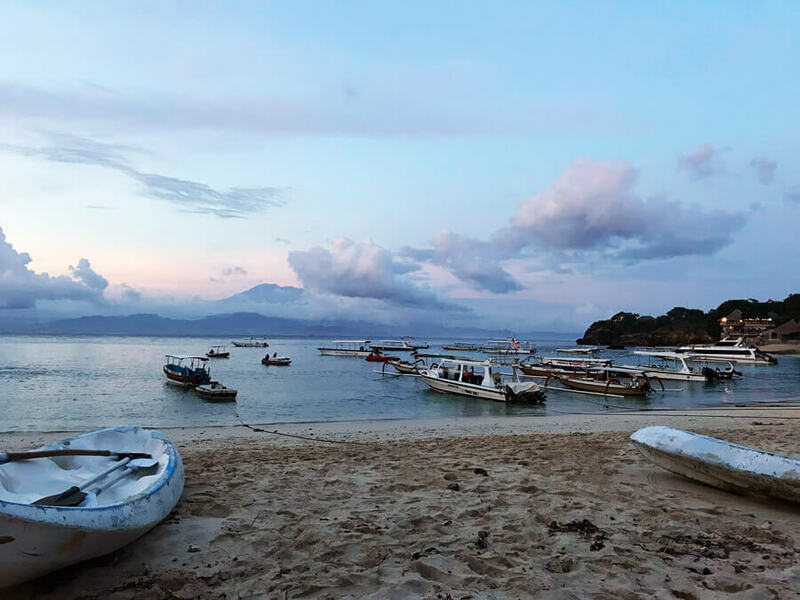 This small island draws in visitors because of its blue waters and amazing beaches that beat Bali’s, its epic snorkeling and diving, because it’s easy to reach and there are plenty of things to do in Nusa Lembongan. 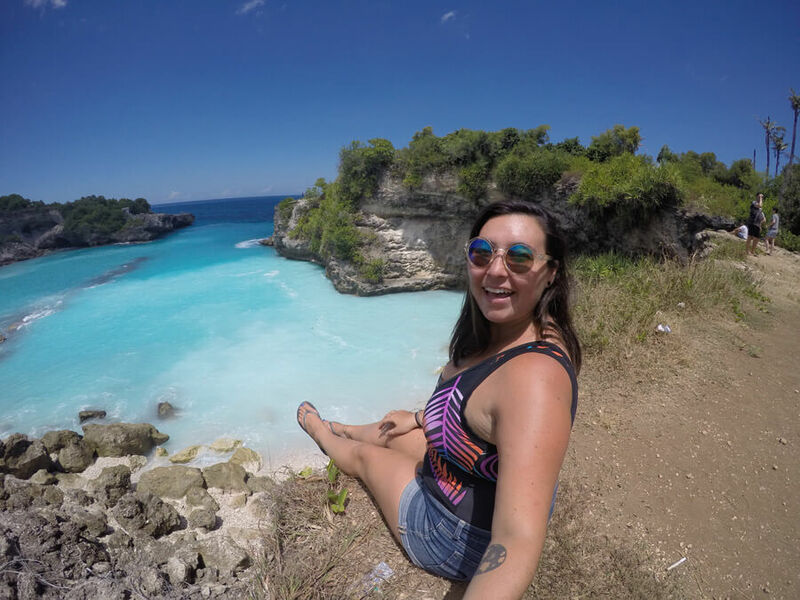 These things to do on Nusa Lembongan will allow you to spend a few days just chilling out, exploring the top highlights that all have to do with epic sunset spots, viewpoints and water. 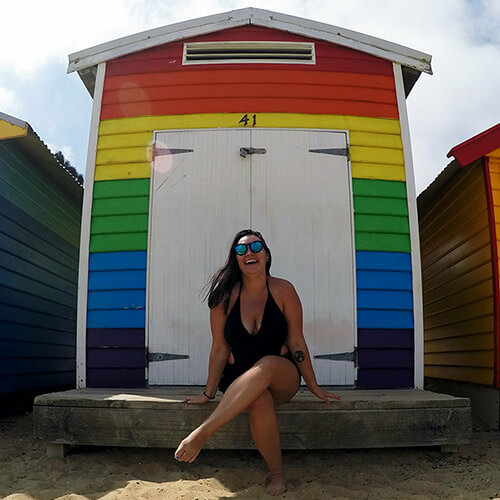 If you have the time during your Bali holiday I highly suggest visiting all three Nusa islands so add Nusa Penida and Nusa Ceningan to your itinerary too! One of the best things to do in Nusa Lembongan is to relax on the beach. Getting to Nusa Lembongan is the easiest of the three Nusa islands. 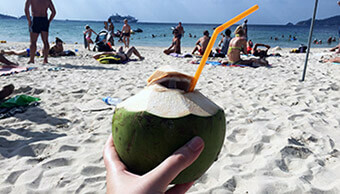 From Bali: There are two ways to get to Lembongan from Bali: by fast boat or by slow boat. The fast boat to Lembongan is the more costly of the two and is obviously faster. Scoot and Rocky Fast Cruises sell tickets that include transfers to and from your accommodation. 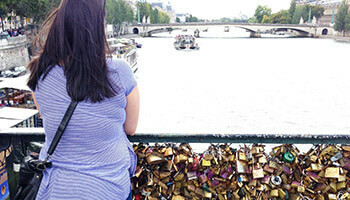 It’s often cheaper if you head down to the harbour and buy a ticket for the next boat. The fast boats leave from Sanur on Bali and costs 250,000-300,000 one-way. The slow boat to Nusa Lembongan is a local ferry to Nusa Lembongan that also departs from Sanur and costs between 60,000-150,000 depending on which type of local boat you take. From Nusa Penida: To reach Lembongan just hop on a short 15-minute boat from Nusa Penida at the Toya Pakeh harbour. Locals will be there asking if you need a ride and boats leave when they’re full. A ride costs 50,000. Nusa Lembongan is popular for tours, many of which include transfers from Bali. 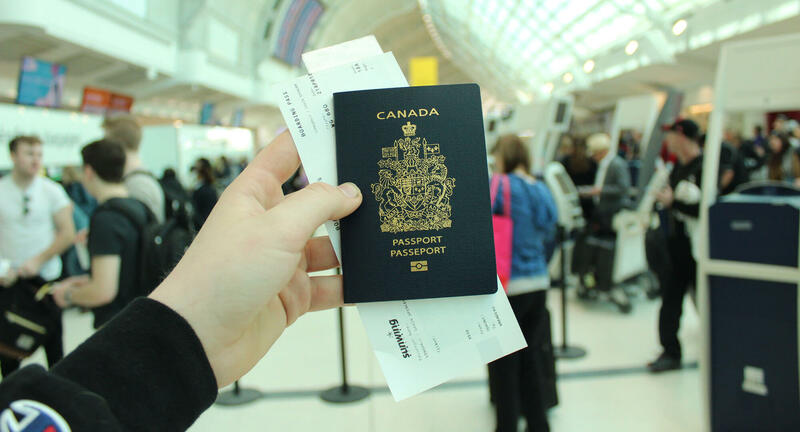 You can opt to do a tour or you can easily do the island on your own. The entire island is only 8 square metres and the roads are a mix between paved and some that are filled with speed potholes. If you have some experience driving you can drive here, just take it easy. 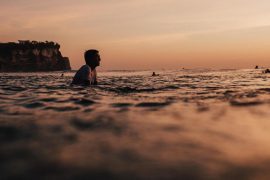 Since Nusa Lembongan is so small the entire island can be done in a day, however I recommend staying for a least a night so you have time to chill out on multiple beaches and catch sunset. DAY ONE: Start your morning at the Mangrove Forest before all of the day trips come in from Bali. You can also spend some time free diving or snorkelling here. Then make your way a beach to hangout. On the way you’ll pass Panorama point were you can see the entire island. After 4PM checkout Dream Beach, Devil’s Tear and the Rock Pools for less crowds and to catch sunset as the colours reflect on the water. 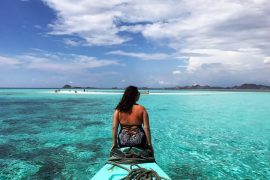 DAY TWO: Spend half of the day exploring Nusa Ceningan and the other half chilling out on another beach, snorkelling from Mushroom Bay, jumping on a snorkel trip or simply just relaxing with some yoga or a massage. 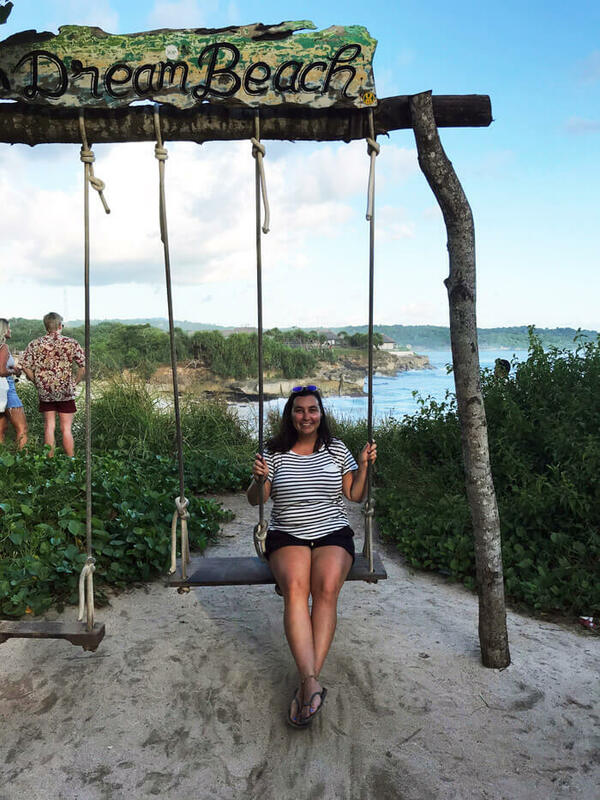 If you don’t have a lot of time or don’t want to see the island on your own it is very popular to do a Nusa Lembongan day trip that will cover all of the islands highlights. 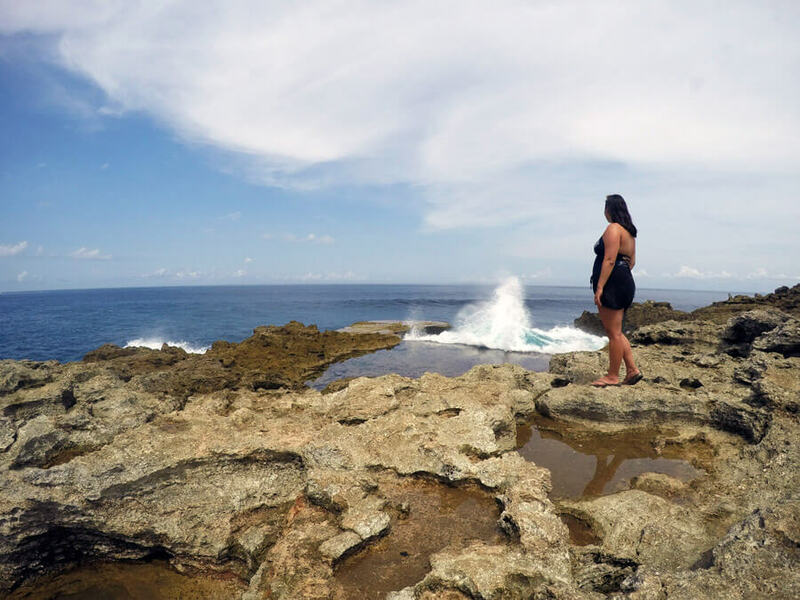 Book a Lembongan Island Day Trip! 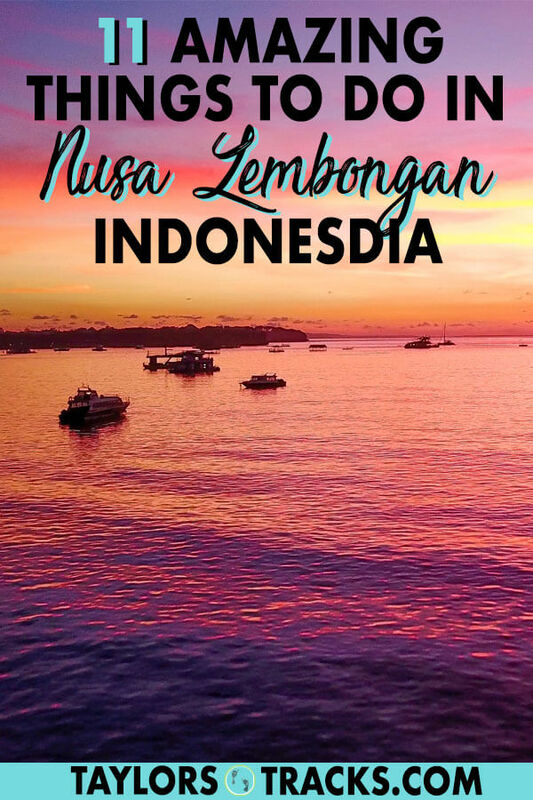 Learn about what to do in Nusa Lembongan for 1-3 days on the beautiful island. Dream Beach is easily among the top things to do in Nusa Lembongan but also one of the most crowded. Dream Beach is the most popular beach on the island, making it the busiest. All of the beaches are pretty similar but the draw to this one is the pool at the resort that gives you great views. There’s also a cute spot with a swing to snap some pictures. Make sure you visit here after 4PM when all of the day trippers are gone. It will be packed during the day! It is possible to swim here as well. 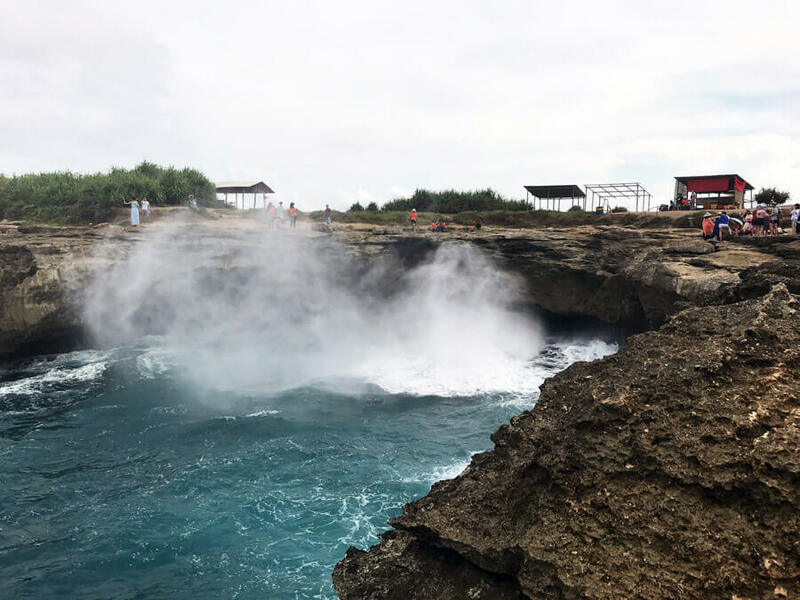 Visiting Devil’s Tear is always included in a Nusa Lembongan itinerary. When searching for what to do on Nusa Lembongan Devil’s Tear is almost always the first suggestion. About a 5-minute walk from Dream Beach is Devil’s Tear which is the main water attraction on the island. Here waves will crash up against the cliffs and water will spray and mist into the air, giving you a break from the heat and some cool shots. Make sure you head around the corner on both sides as there are more attractions and spots with less people. 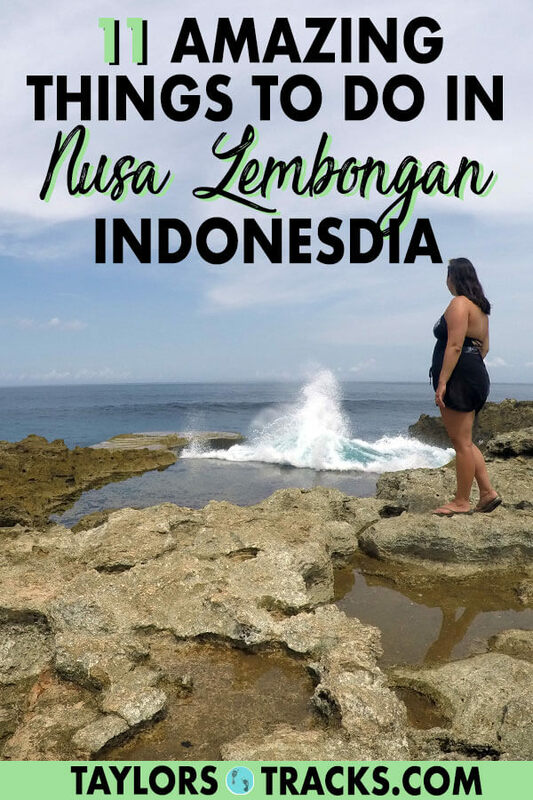 What to see in Nusa Lembongan? The Rocks Pools of course! The Rock Pools are just to the right of Devil’s Tear and are a great spot to catch sunset as the colours of it will reflect on the water. You’ll want to visit here during low tides as the waves can be quite powerful and will pull you in if you get too close to the edge. Personally I think Sandy Bay is one of the best things to do in Nusa Lembongan. 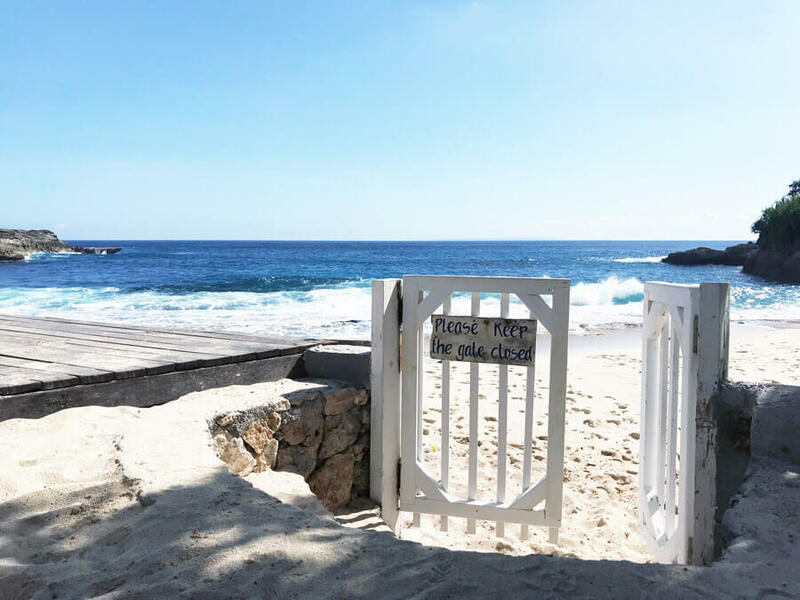 It’s a secluded cover that has perfect white sand and feels like a private beach. It’s small and is free to go to but you can not swim here because of the rocks. There is also a beach club that has a pool overlooking the beach, comfy lounge chairs and bean bags. Chances are your accommodation will be by this beach as it’s the main stretch along the island. It is also the most popular place to watch sunset. Some of the best places to watch sunset from are The Deck, Blue Corner and Muntigs. You can walk along the entire beach and you’ll find everything from restaurants to massages and ferry tickets. Nusa Lembongan snorkeling usually takes off for day trips from Mushroom Bay. This is a family-friendly area with restaurants and a beach club. It’s also the main spot where snorkeling boats take off from. Swimming is possible here but there are quite a few boats. Here you can also rent snorkel equipment and check it out for yourself! 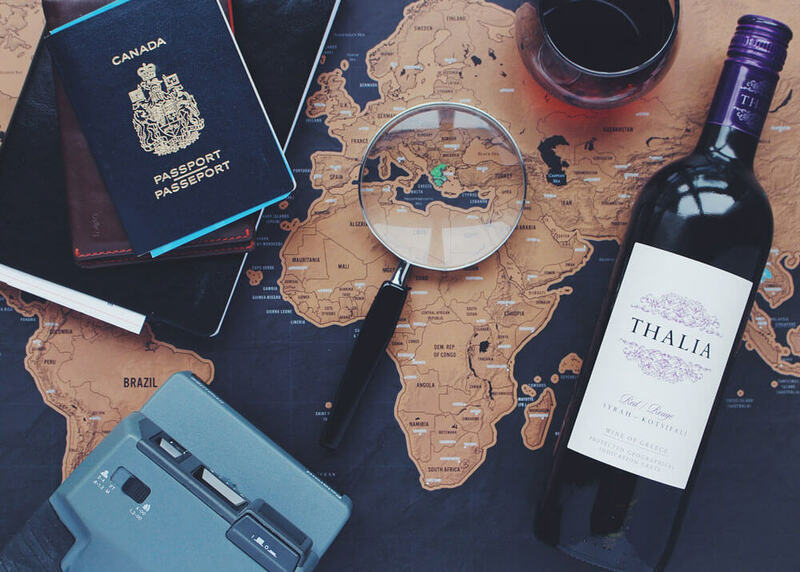 It’s worth checking out the Mangrove Forest for a little bit of time in nature. A guide can take you on a local boat through the mangroves where you can float between the trees and have pure silence. In this area you can also book snorkeling or free diving. 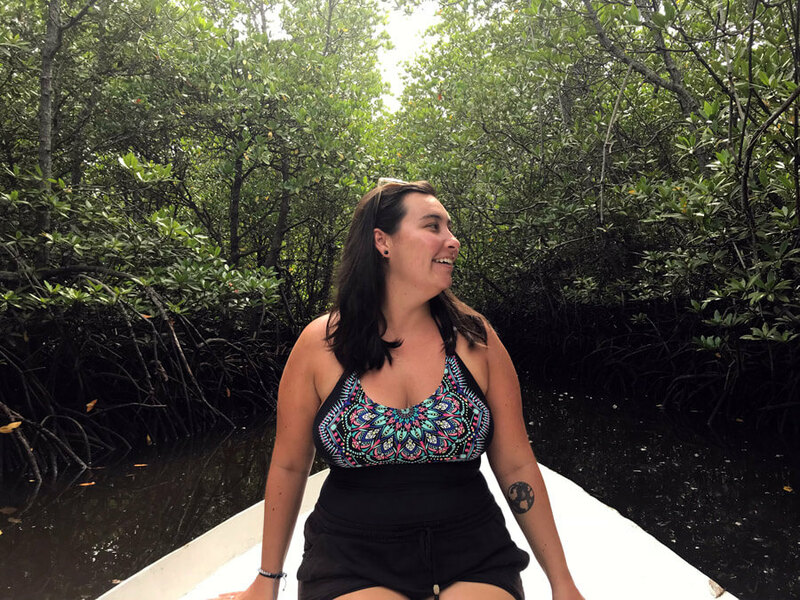 A boat trip through the mangroves is 50,000 per person but you gotta bargain! I got that price no problem at the last place on the road. This viewpoint offers a view over the entire island and is where you can really take in its small size. It’s free and is not super easy to spot as its just some gravel on the side of the road between Mushroom Bay and Jungut Beach. The easiest way to find it is by looking up the Panorama restaurant on Google Maps which is also a good spot for sunset! 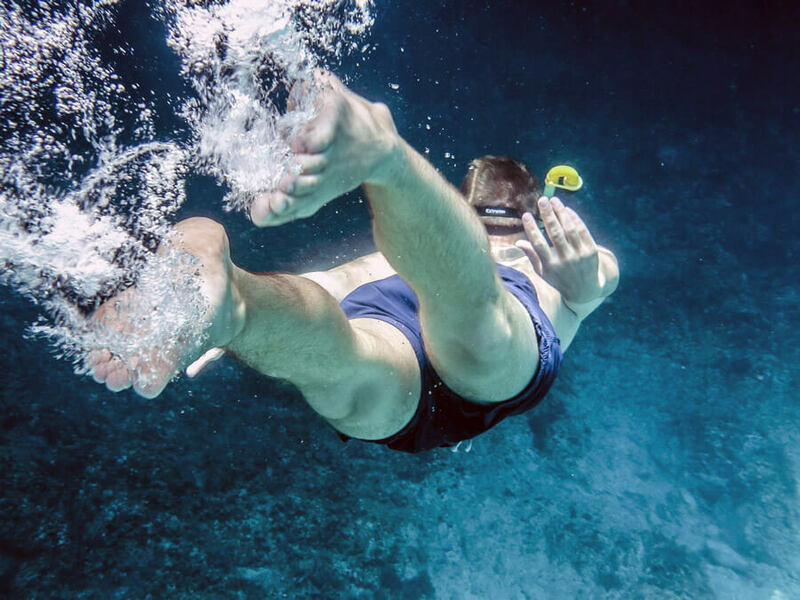 Snorkeling and diving are some of the top things to do in Lembongan. Many boats will head over to Nusa Penida where it’s even more popular but there is still plenty to see when Nusa Lembongan snorkeling. Book a Nusa Lembongan Snorkeling Day Trip! There are multiple yoga studios on the island and where better to do yoga than close to the water?! Some of the studios are Yoga Shack, Yoga Bliss and Serenity Yoga Lembongan. There is also a studio on Nusa Ceningan. 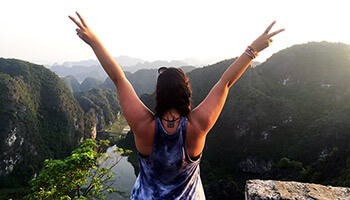 Don’t forget to visit Nusa Ceningan for more adventures! 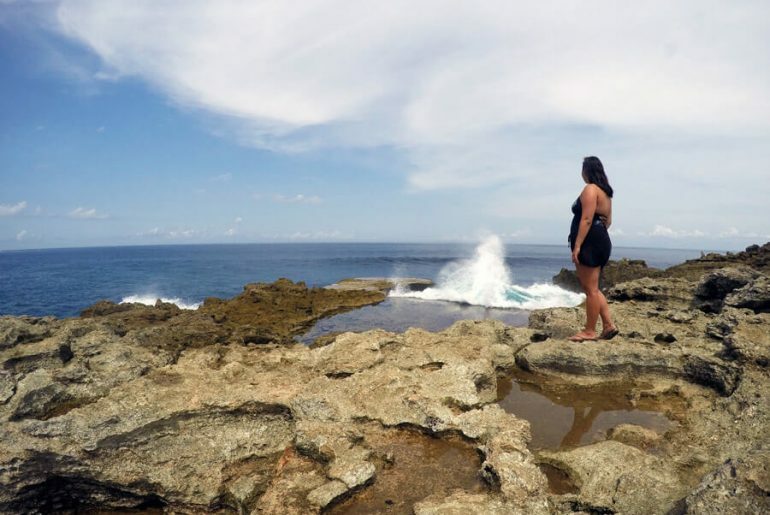 A trip to Nusa Lembongan is not complete without a visit to Nusa Ceningan! It only takes a half day to explore this little island which is even smaller than Nusa Lembongan. You can access Ceningan from Lembongan by crossing over the yellow bridge by walking or biking. The star attractions on this island are cliff jumping, stunningly blue waters and plenty of places to just chill. 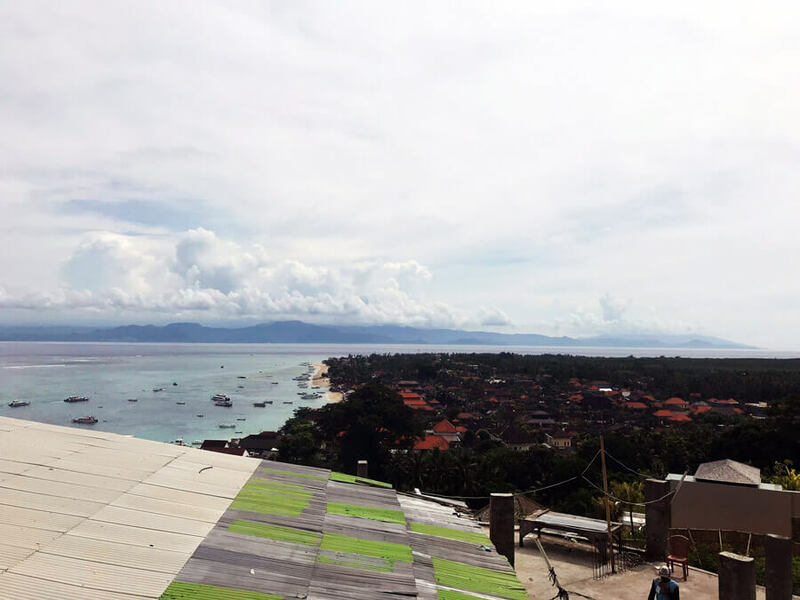 Find where to stay in Nusa Lembongan for any budget from hostel dorms to guesthouses with pools! Be sure to check out more on the Nusa islands, Nusa Penida and Nusa Ceningan! 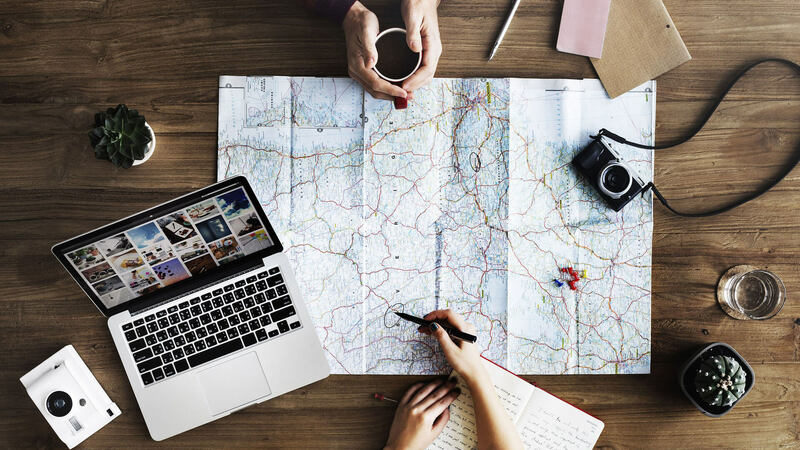 I have articles on both to help you create a Nusa islands itinerary. You won’t regret adding any of these islands to your Bali trip!